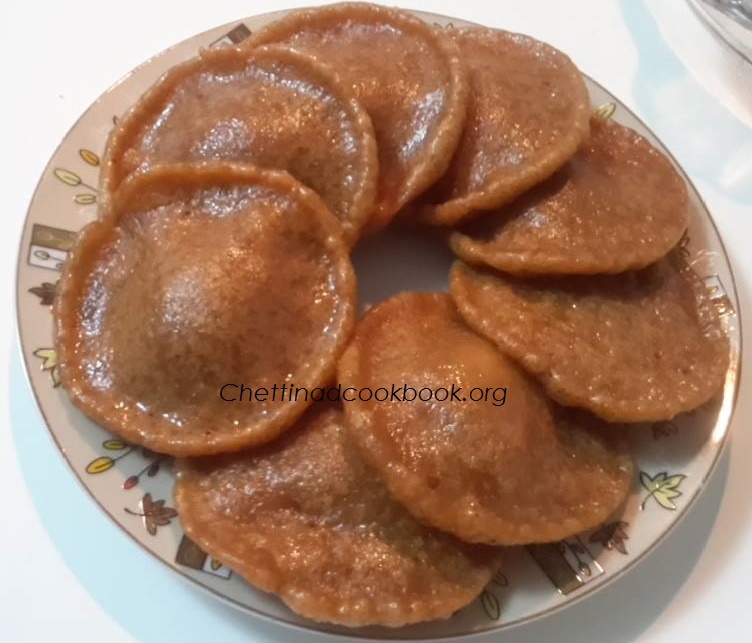 This is one of the Chettinad famous recipe(sweet pancake) soft and delicious in beautiful appearance. 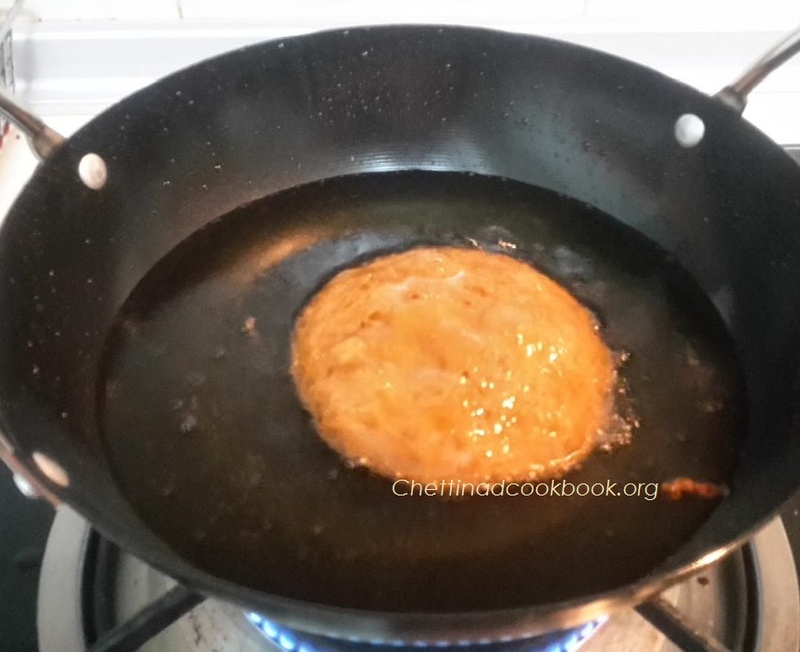 Preparation of this appam is very simple. It will be a real treat for sweet lovers. 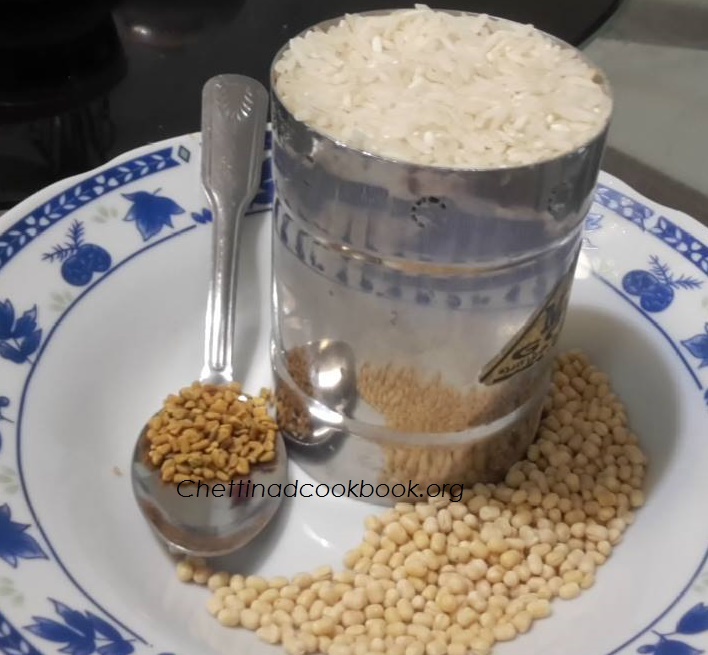 Main ingredients are rice and urad dal ground with jaggery. Measurement of these ingredients is carefully done to get the same perfect taste, shape and texture as our ancestral preparation.This is served on all occasions in the Chettinad region, easy to prepare in large quantities. Wash the rice and the dal soak them along with the fenugreek seeds in enough water for 2 hours. Drain completely. Grind with 1 cup of water in a blender to make a smooth thick batter, Add cardamom, coconut and jaggery to the batter grind for few minutes. 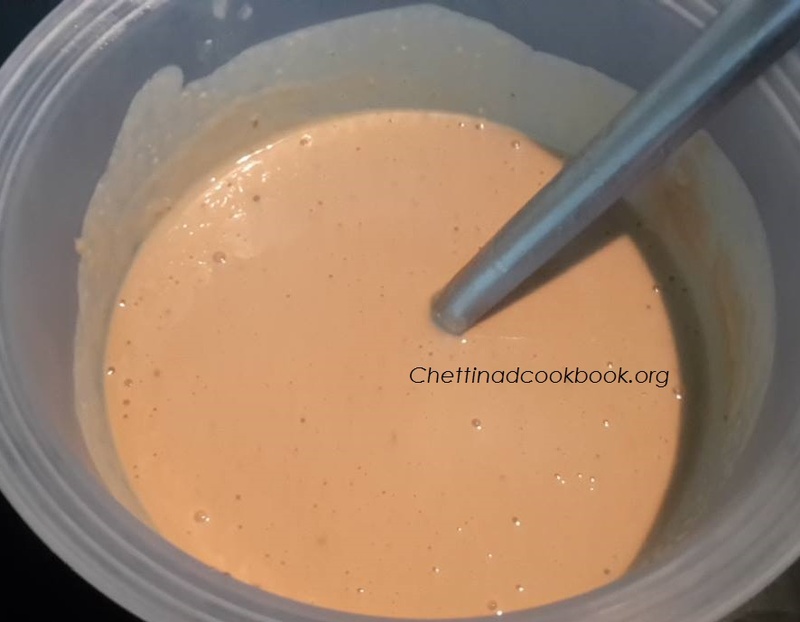 Can store this batter in refrigerator for 1 week. Mix the batter well. It should have the consistency of a dosa batter. Pouring consistency. Heat oil in a wok over medium heat. When the oil is hot but not smoking, slowly pour a small ladle of batter. When the kandarappam rises to the top turn it over. Remove it from the pan in about 10 seconds. It should be golden brown on both sides. Make the remaining kandarappam in the same way and serve hot.This measurement can give you 20 to 25 nos of appam. In case of rest over of any prepared Paniyaram can be steamed on next day, it will be more soft and tasty.